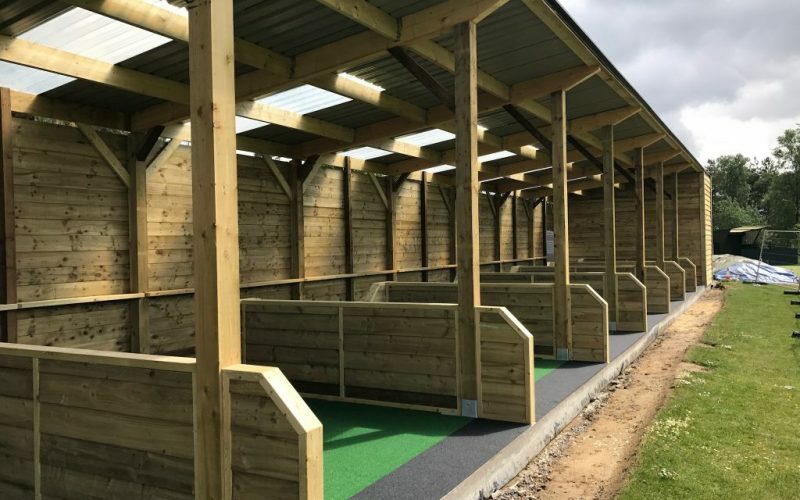 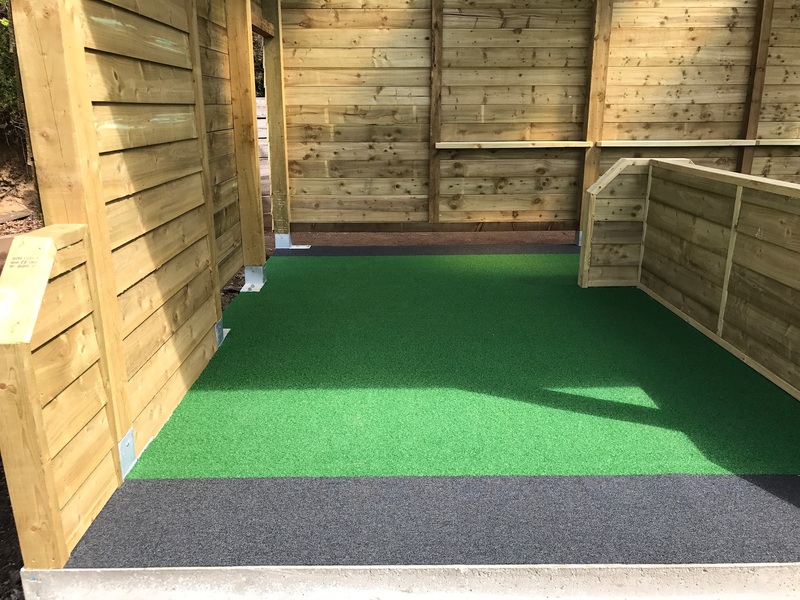 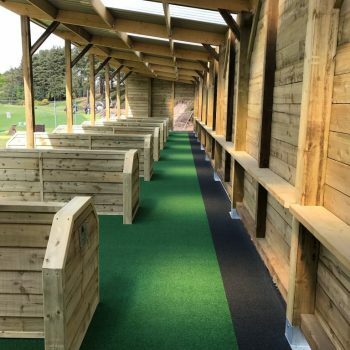 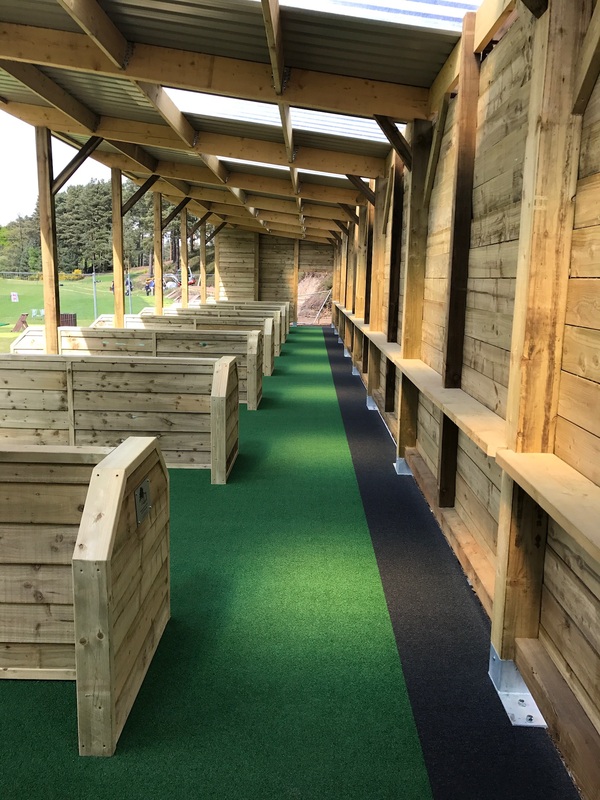 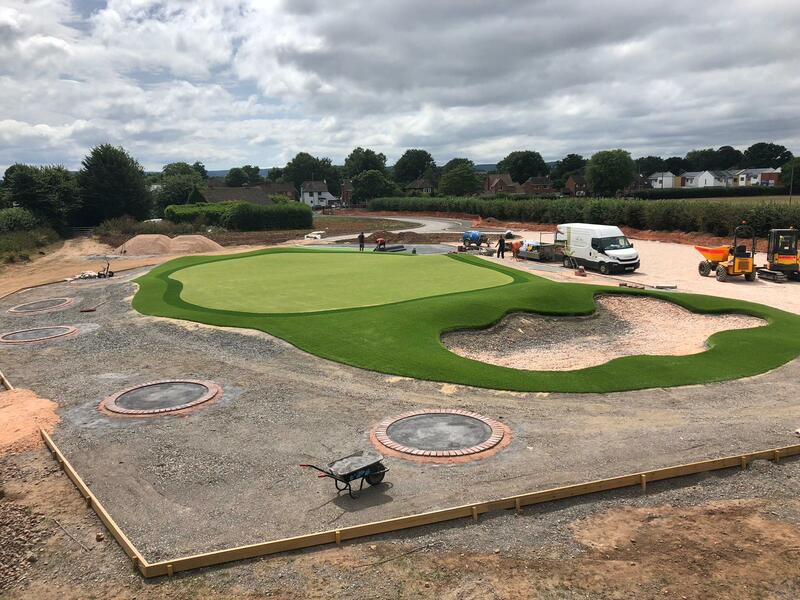 8 Driving bays with floodlights, netted bay dividers and ball machine store, plus 7 amazing outdoor artificial areas supplied form SouthWest Greens. 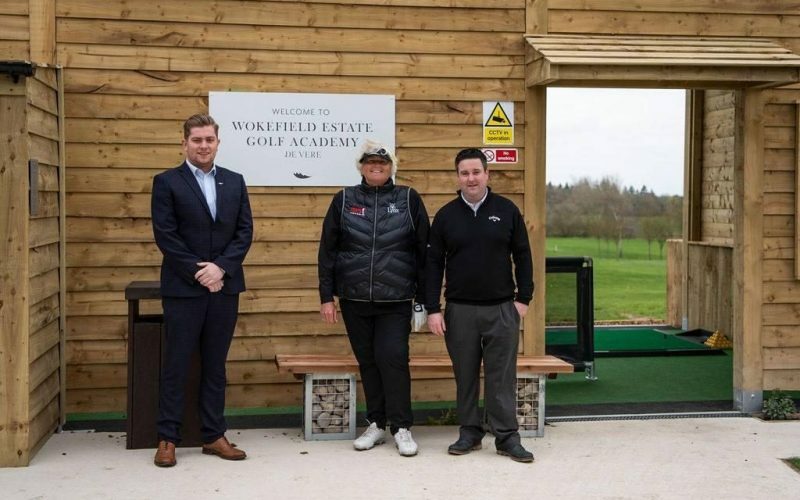 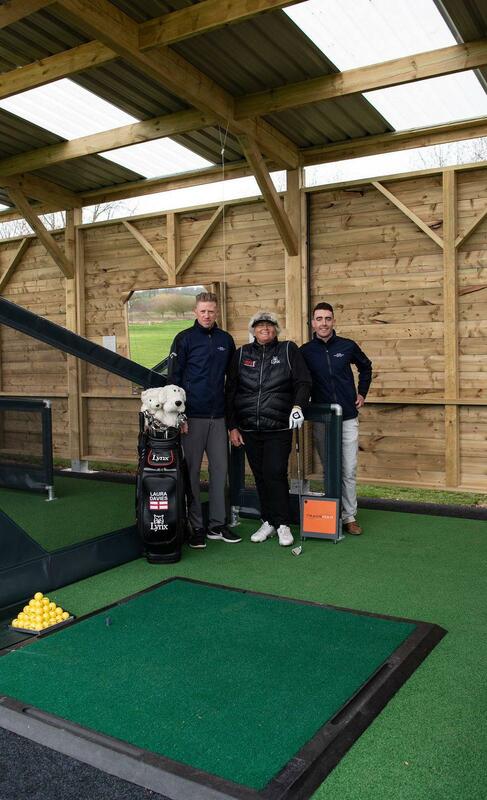 It was amazing to have this brilliant new facility to be opened by Dame Laura Davies. 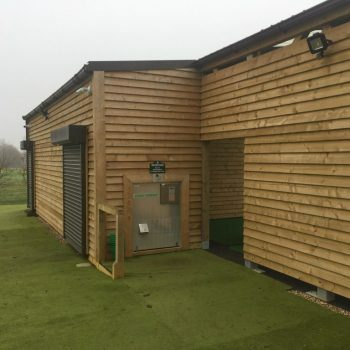 8 Bays, state of the art teaching bay, staff room / kitchen, plant room for ball machine, disabled toilet, perimeter netting, floodlights and large artificial practice green. 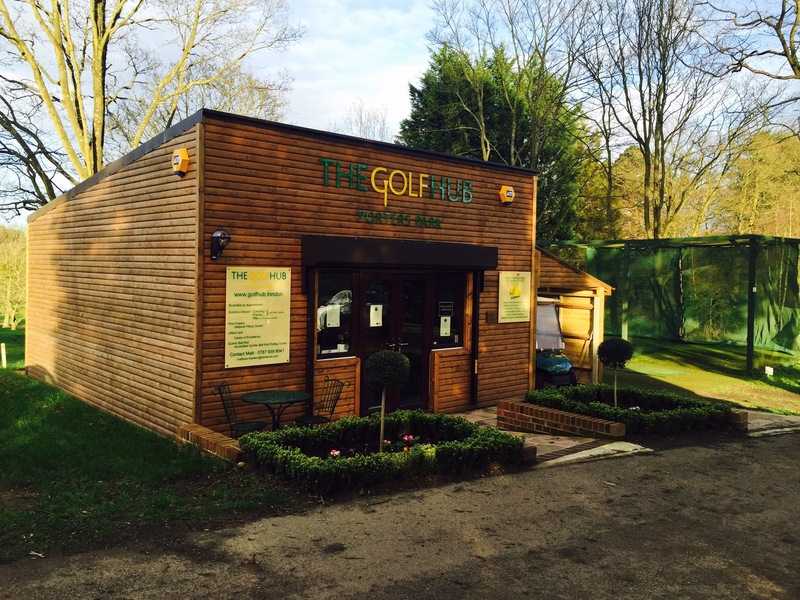 The stunning Berkshire Golf Club is a very busy 36 venue with two courses in the Top 50 in Great Britain. 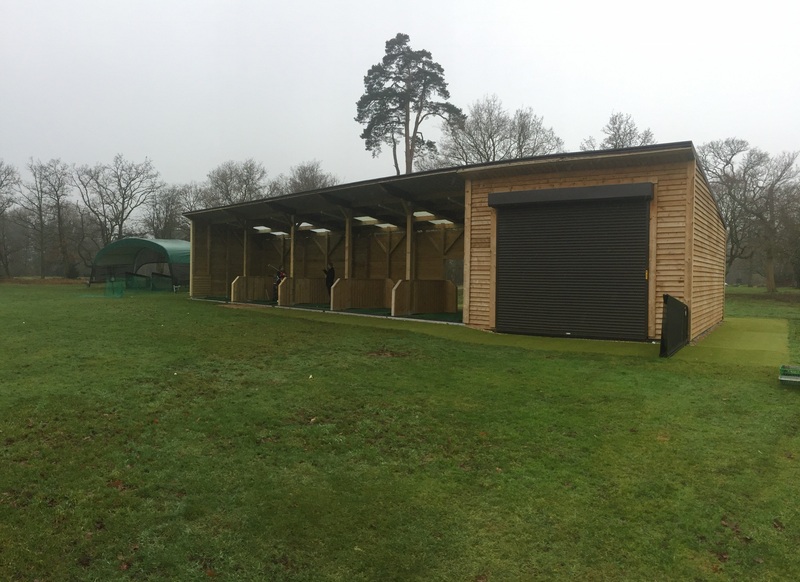 They had a 8 bay range built over 15 years ago that was blown down by storm Doris a few weeks earlier. 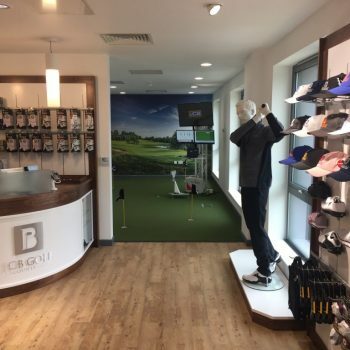 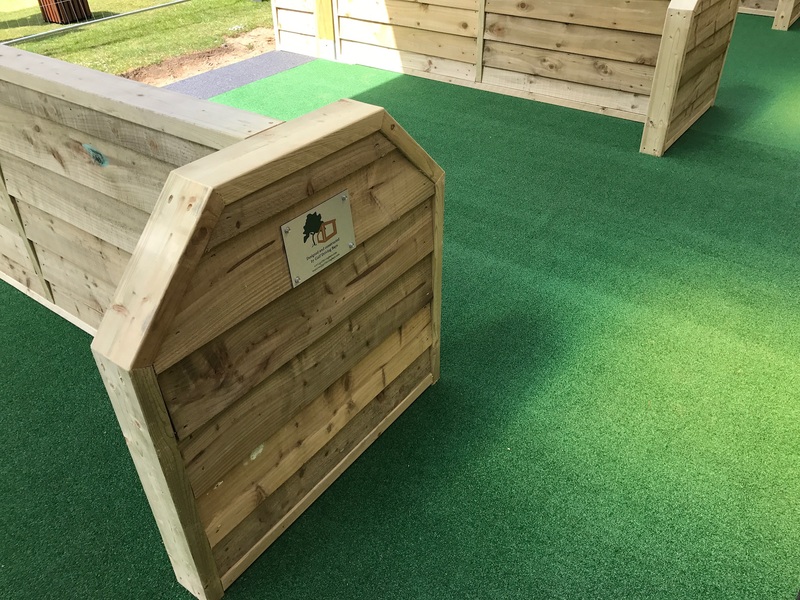 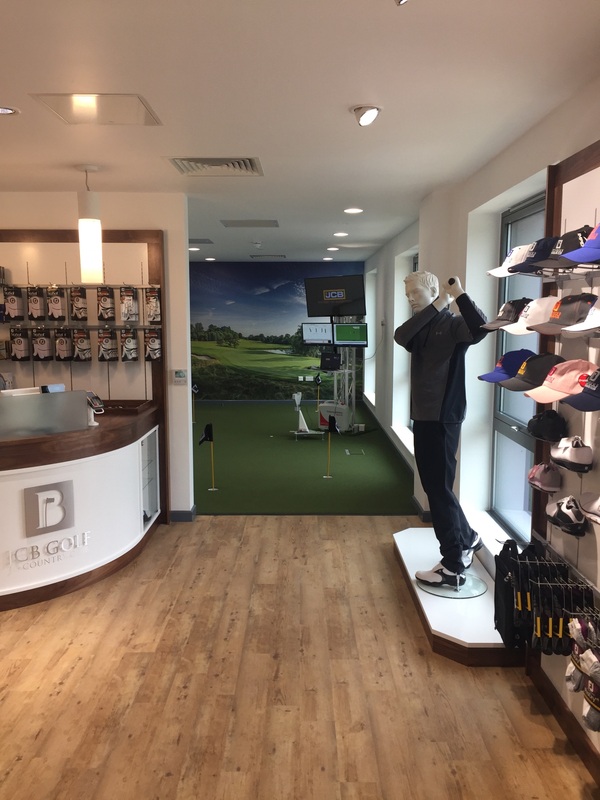 We were drafted in the build a new range in time for a very busy summer including the club hosting the prestigious English Amateur Championship. 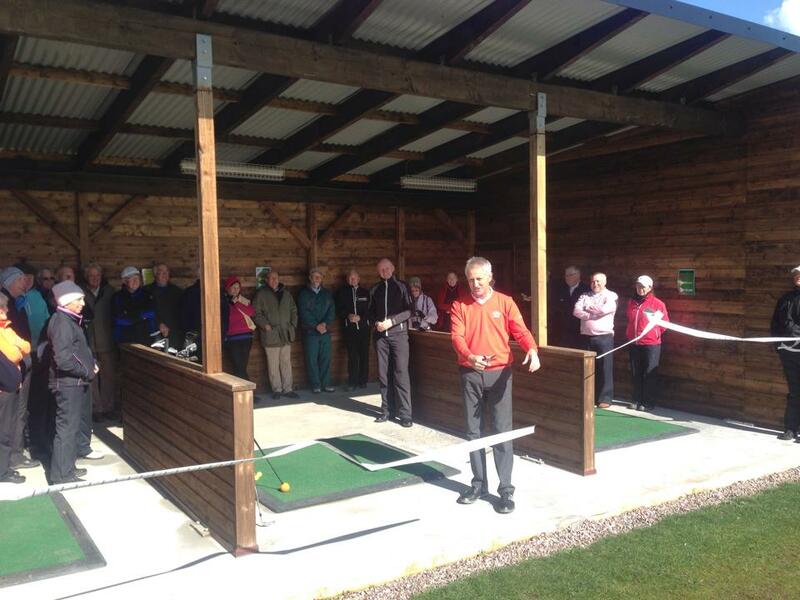 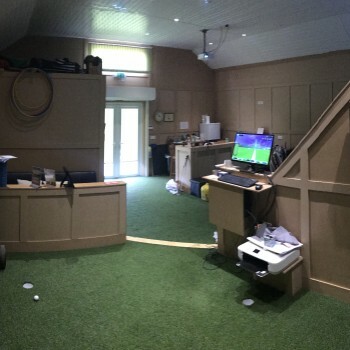 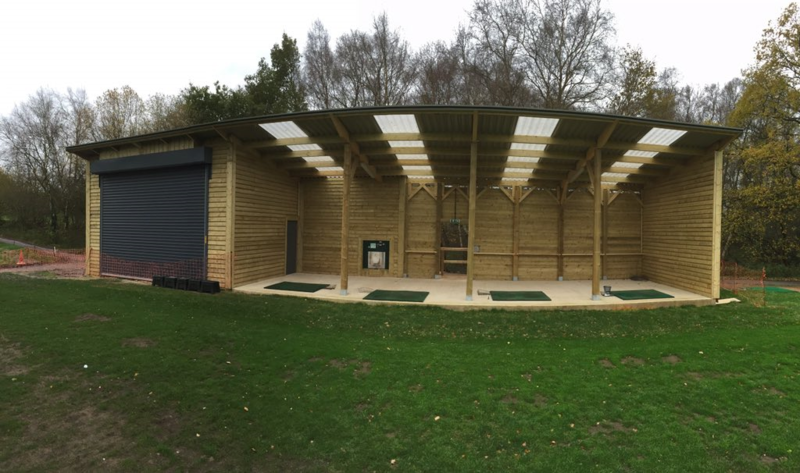 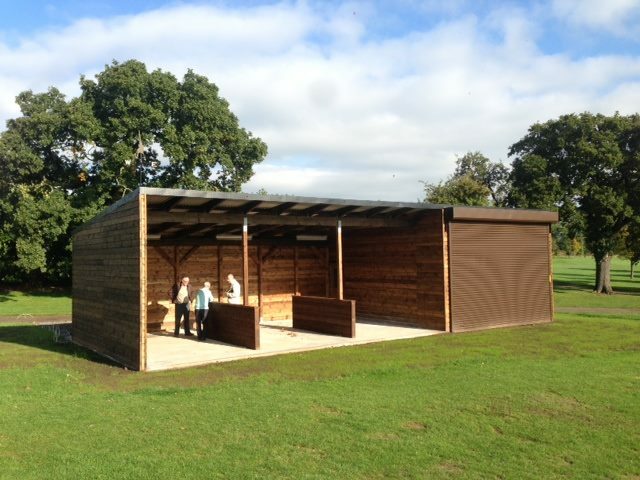 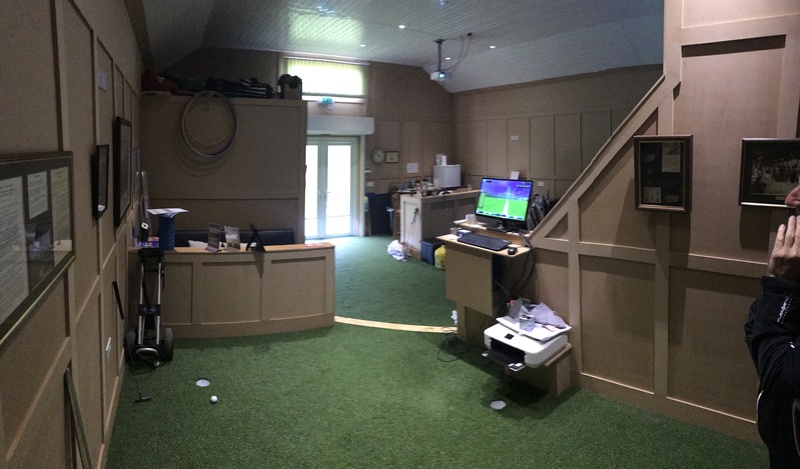 We managed to build the completed range including a storage room for the ball wash facility in only 3 weeks! 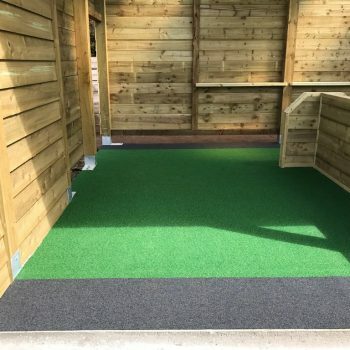 This includes a full Astro turf and tile flooring. 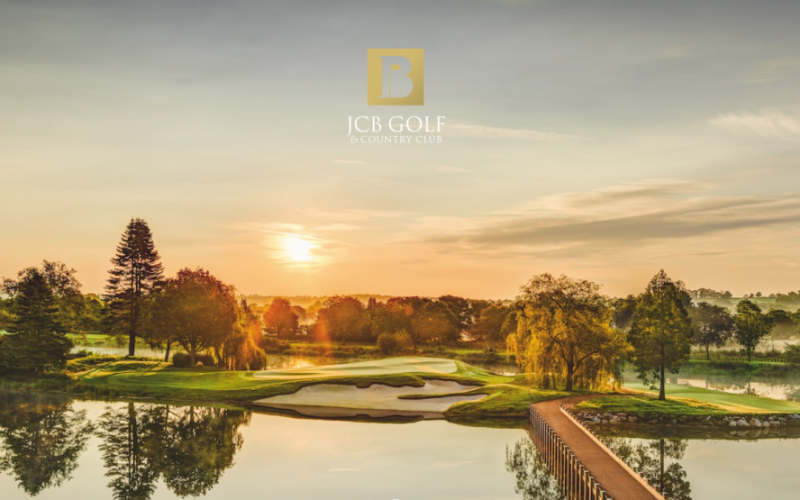 Golf Driving Bays are proud to have been asked to provide design and procurement consultancy on JCB’s truly stunning £30m Bamford Country Club. 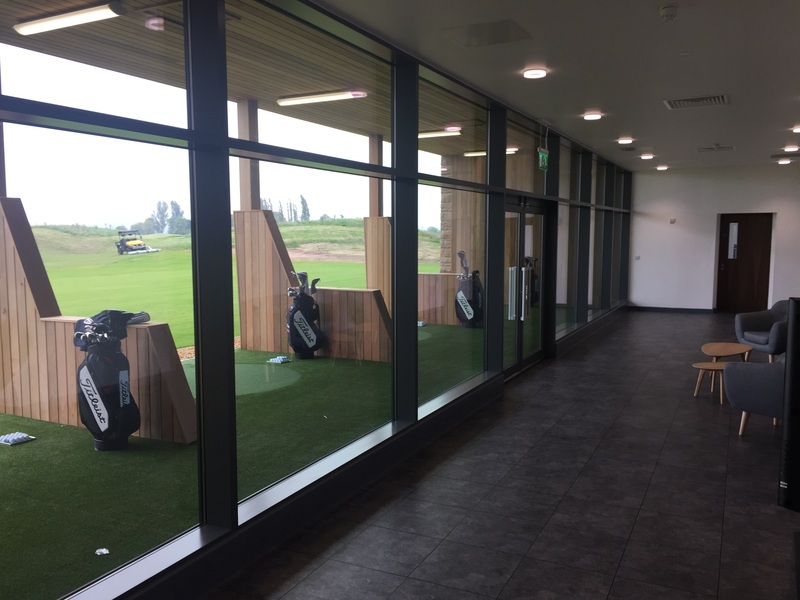 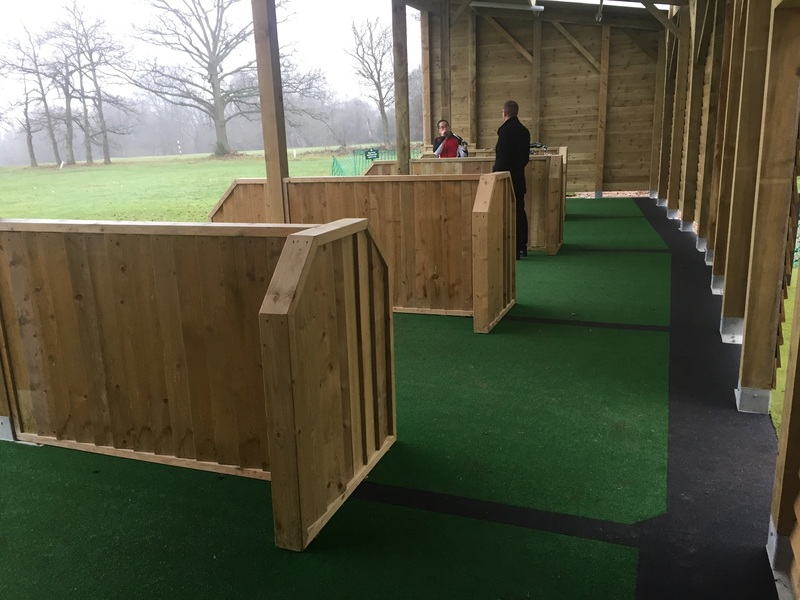 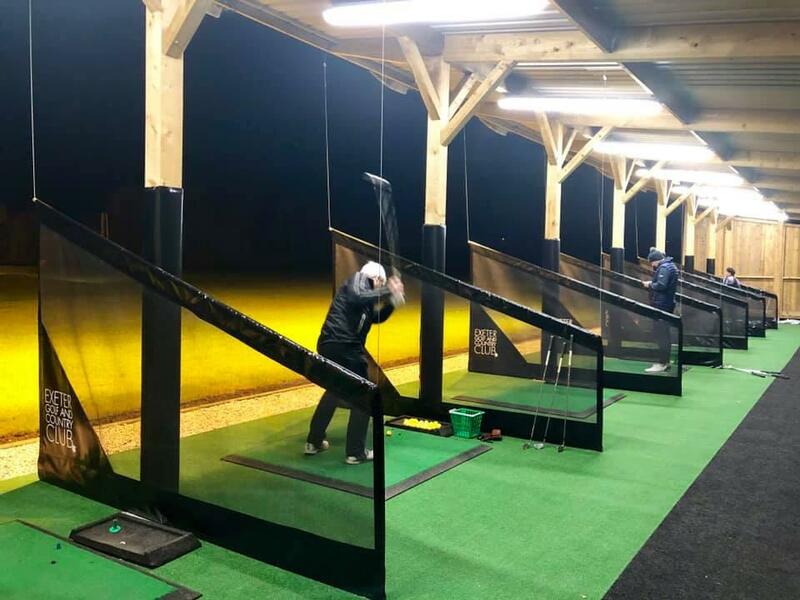 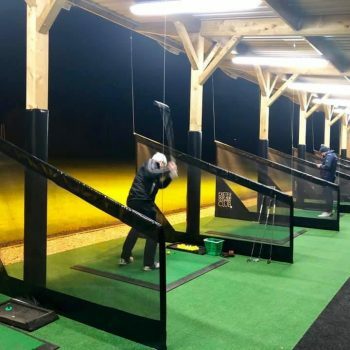 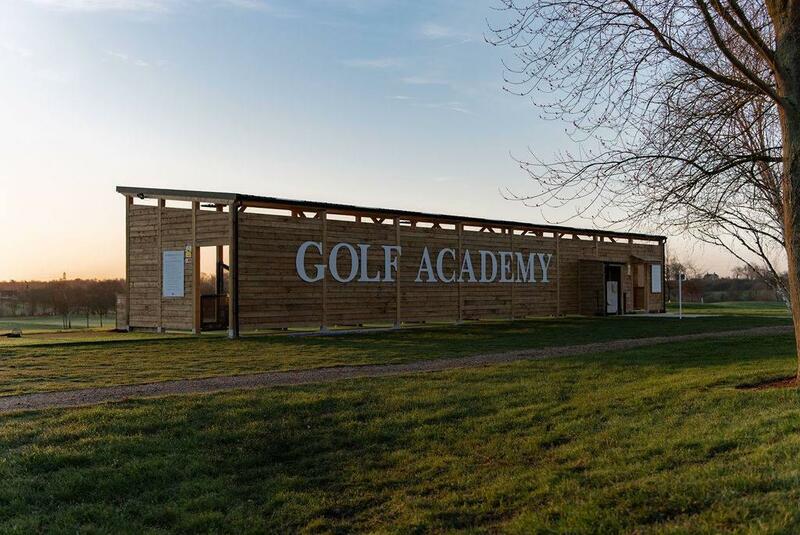 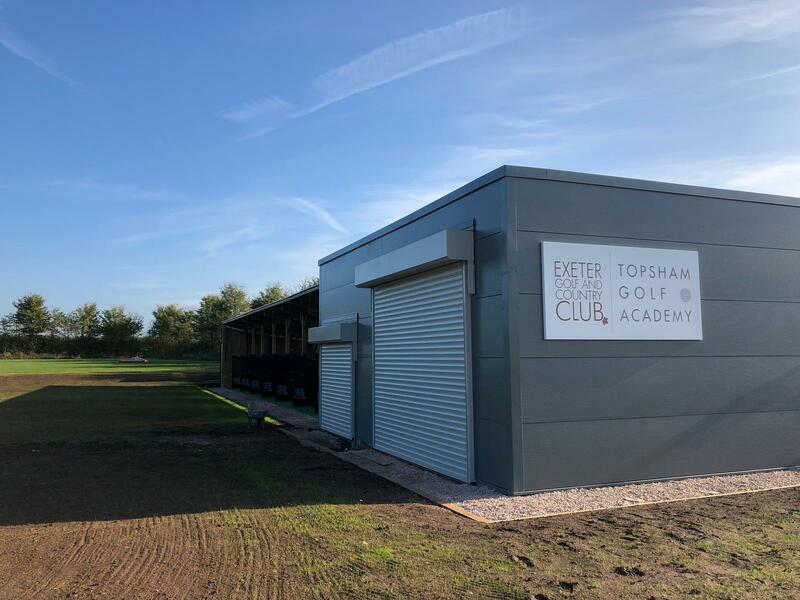 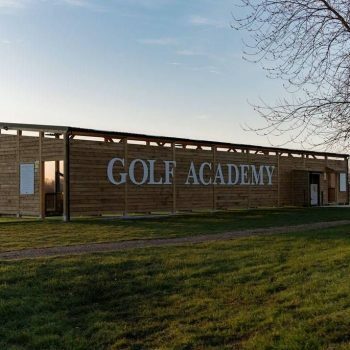 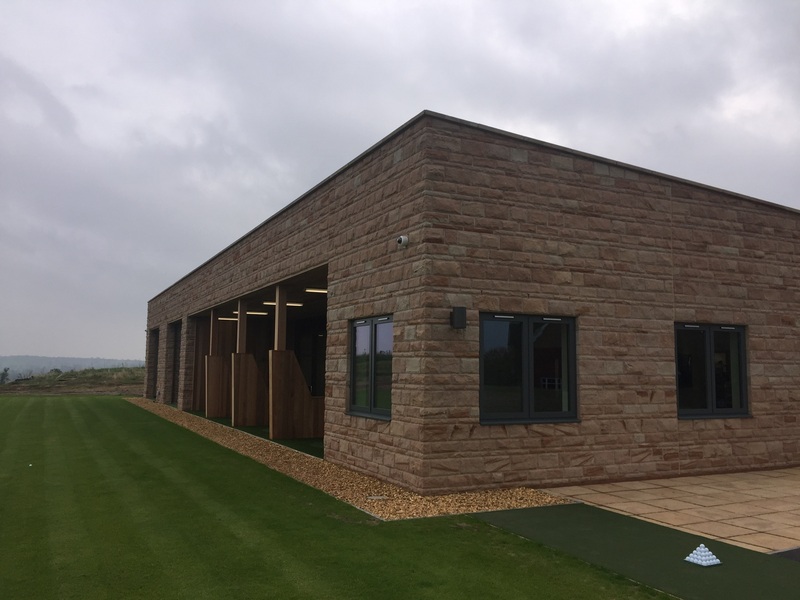 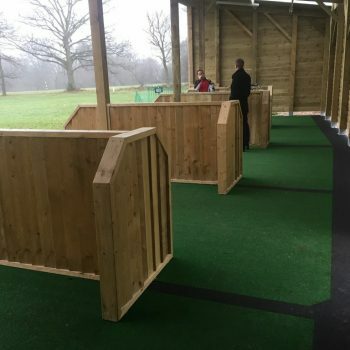 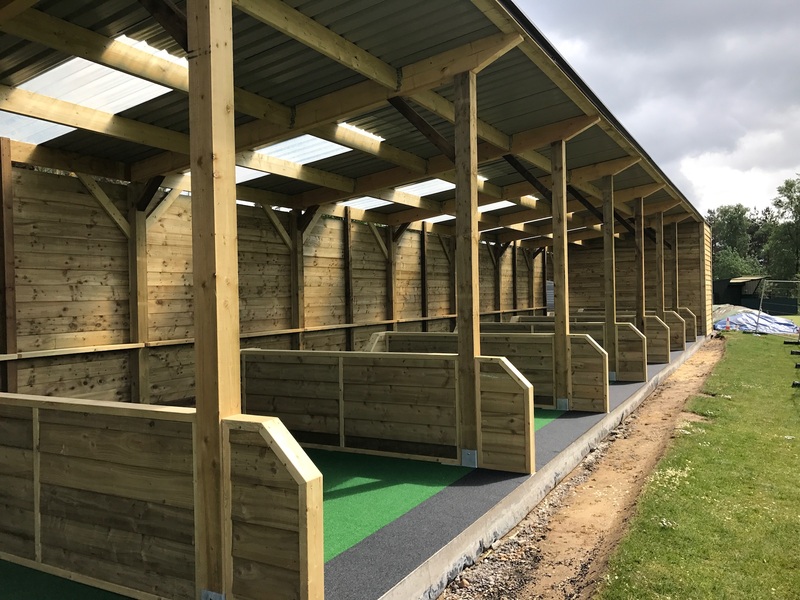 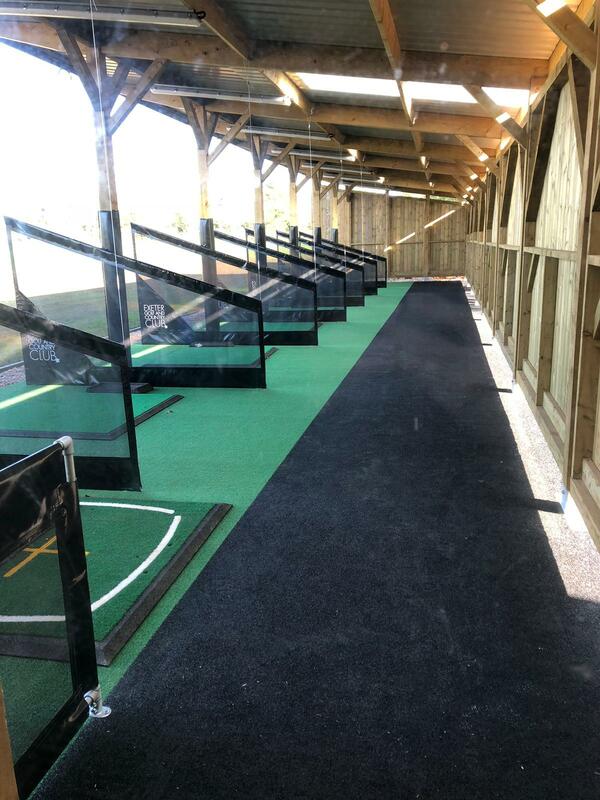 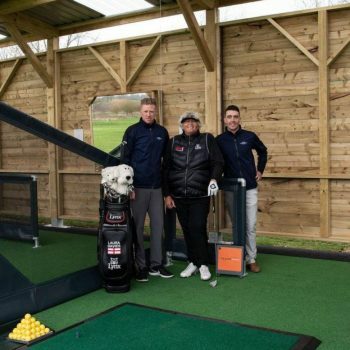 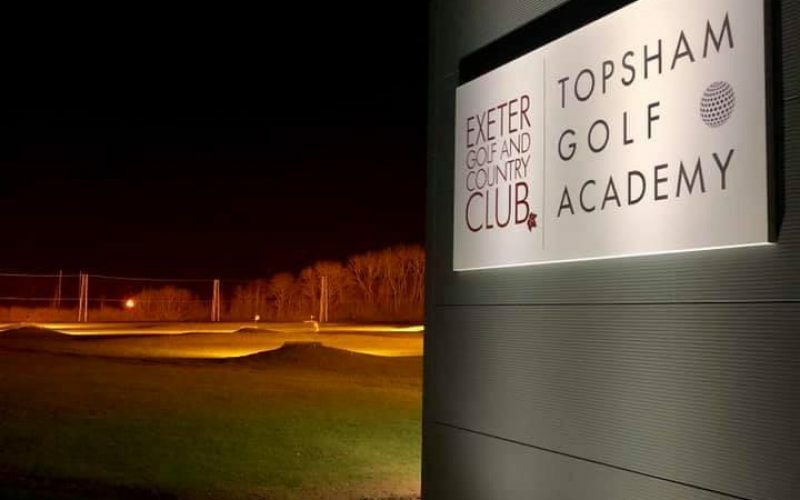 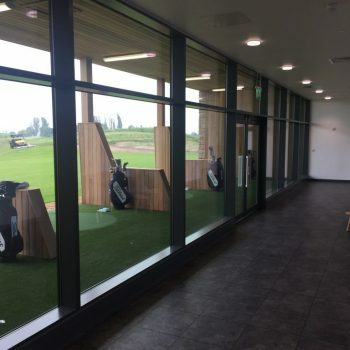 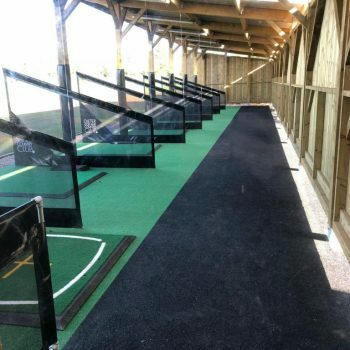 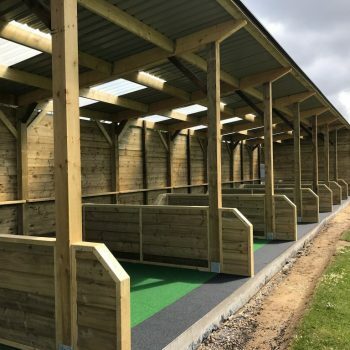 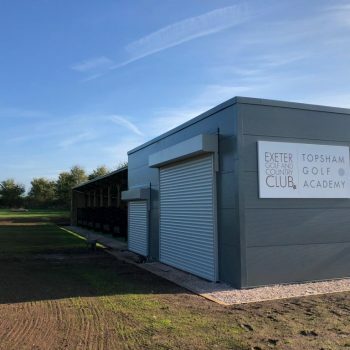 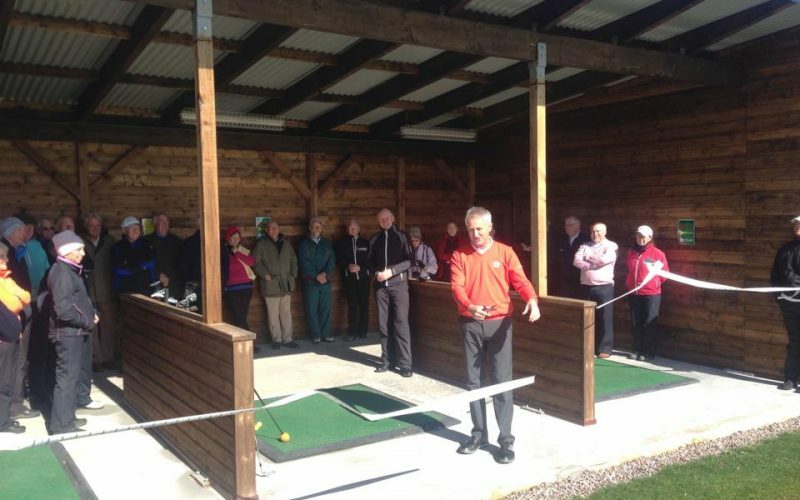 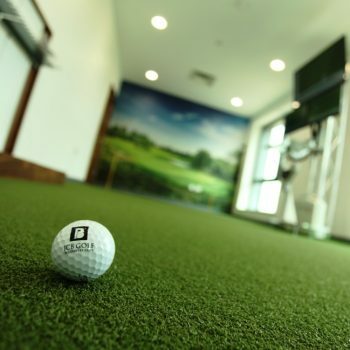 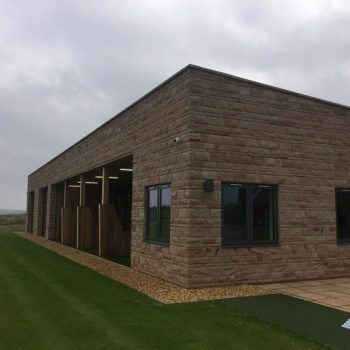 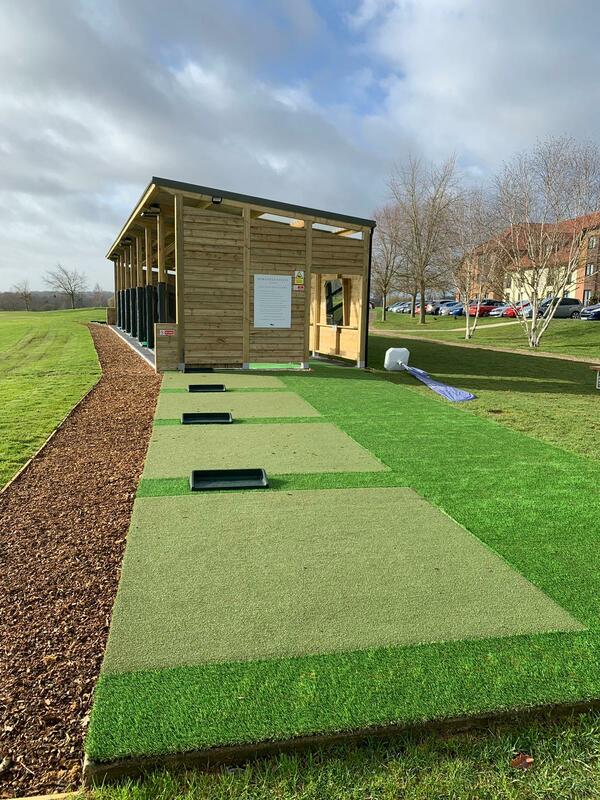 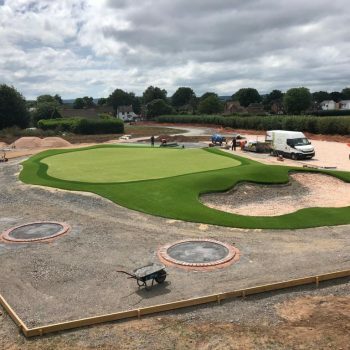 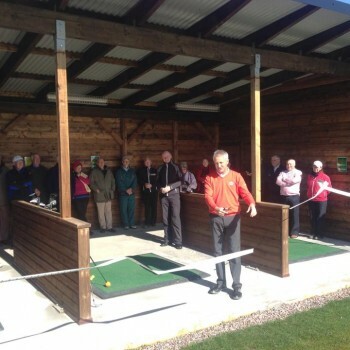 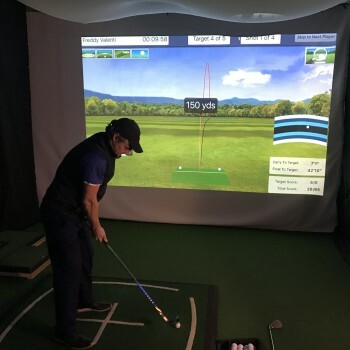 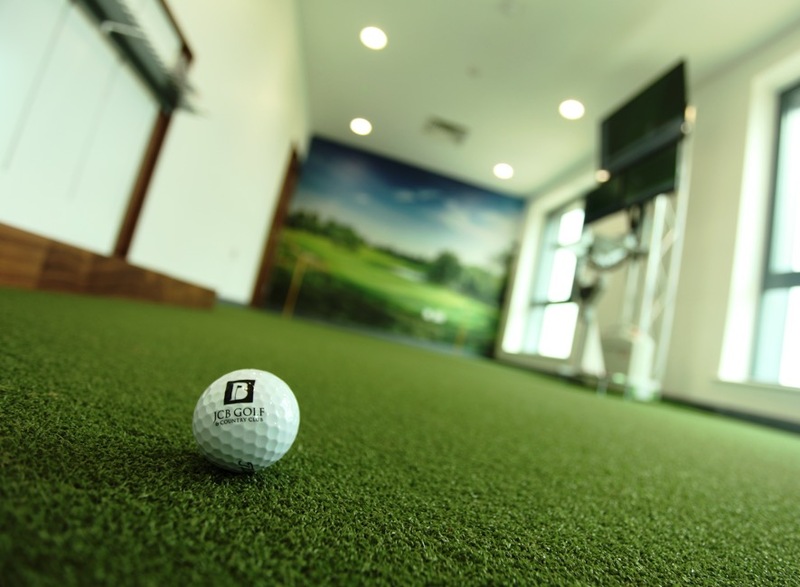 Along with the course, designed by the legendary Robin Hiseman the site boasts an extensive driving range plus two indoor teaching studios with state-of-the-art swing analysis technology. 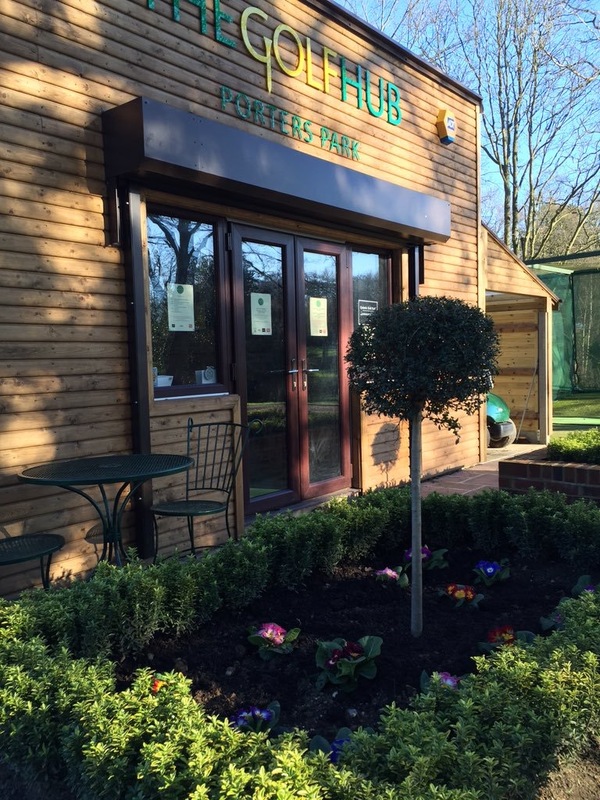 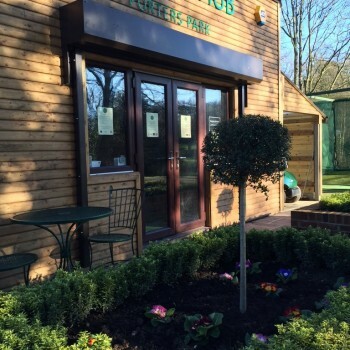 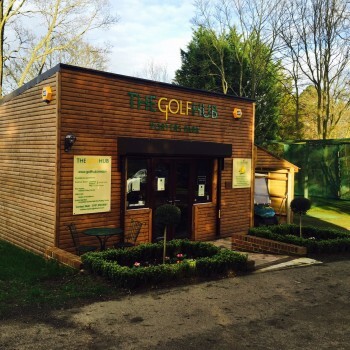 Overstone Park is a privately owned golf resort near Northampton with stunning lodges and homes surrounding the course and lakes. 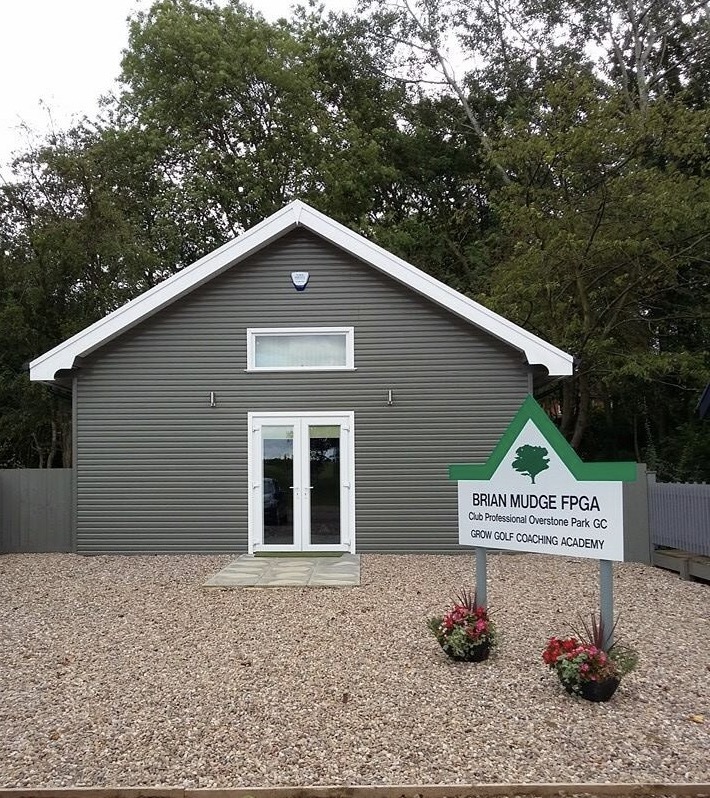 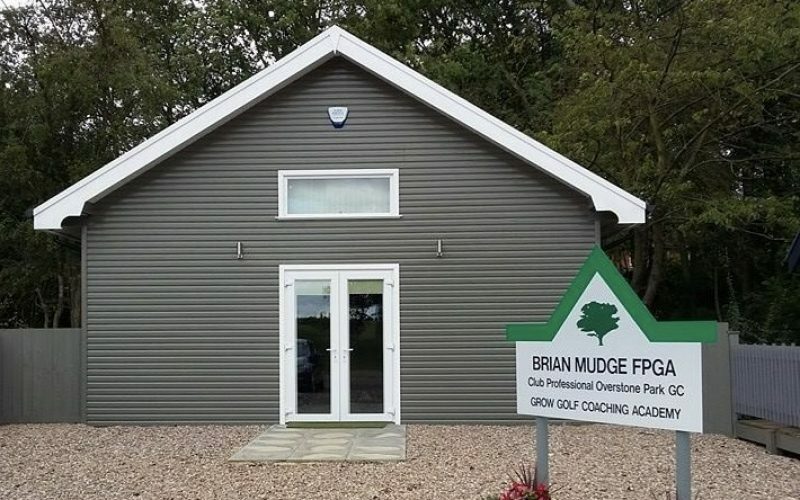 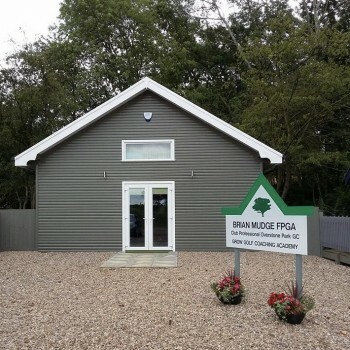 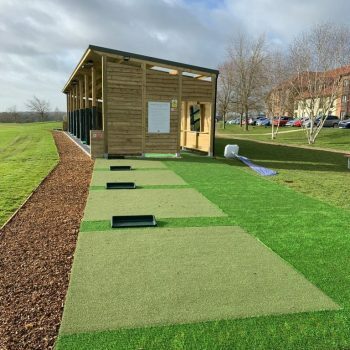 PGA Fellow Professional Brian Mudge wanted a very large self sufficient teaching facility with toilet block, putting green and Gc2 indoor simulator. 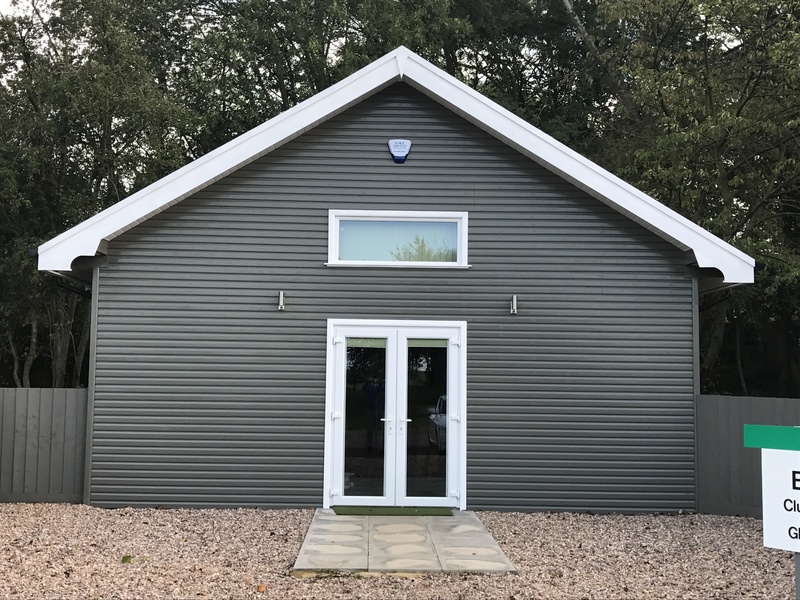 The huge 70sqm facility had to have the same design as all of the lodge from Overstone Green paint to imported roof tiles from Canada. 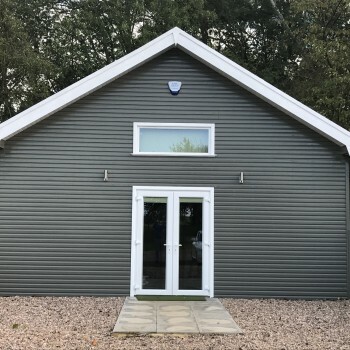 It’s our largest single studio to date. 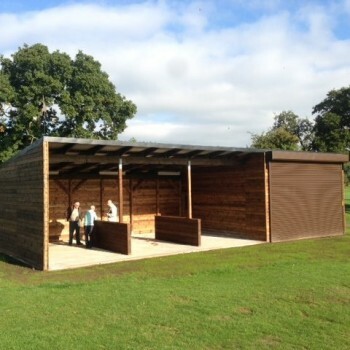 This was a build which is proving to be very popular built to the highest grade timber that we offer. 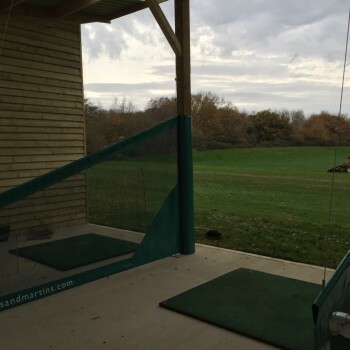 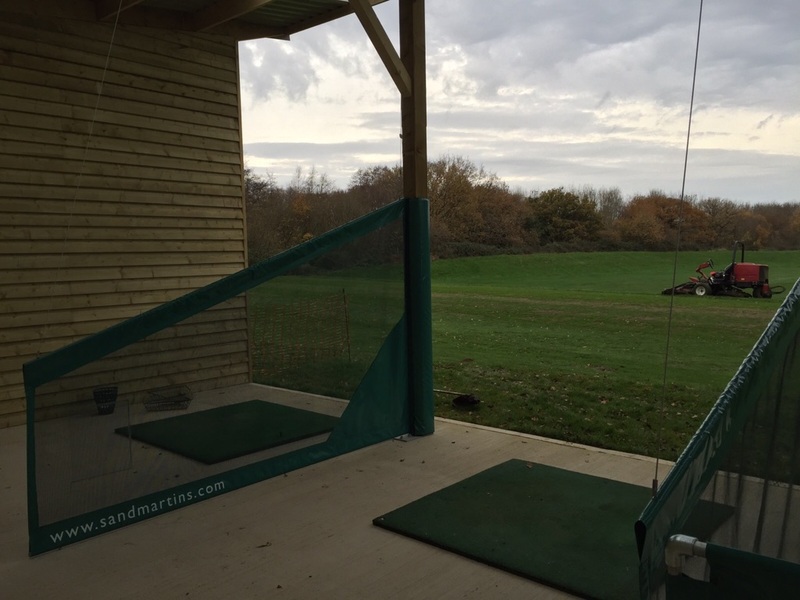 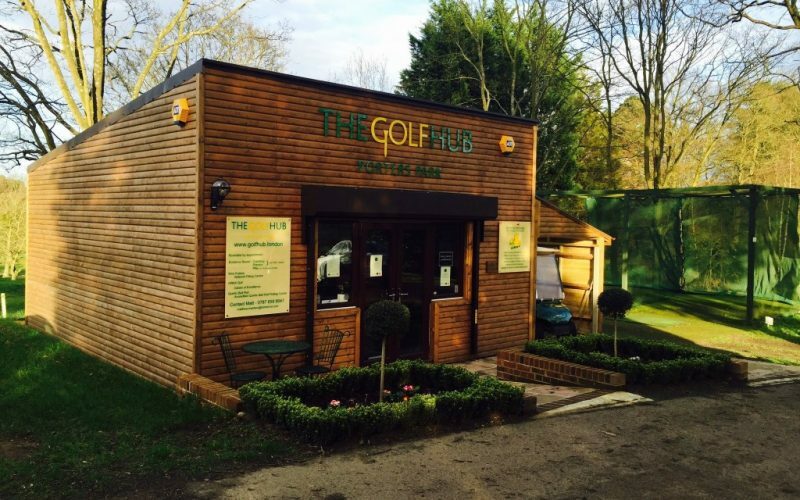 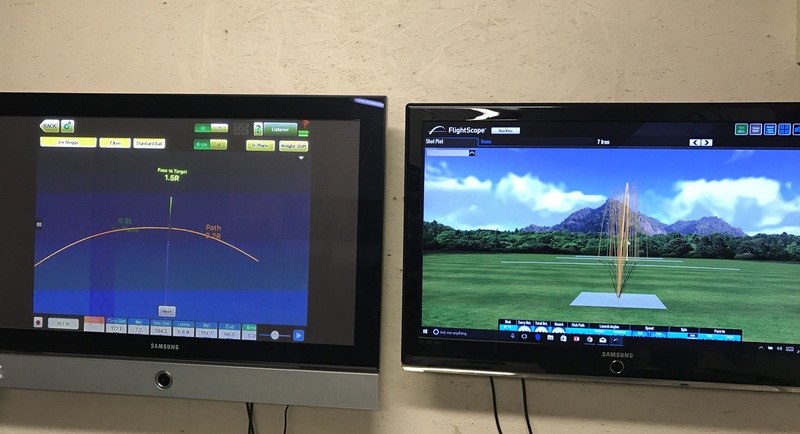 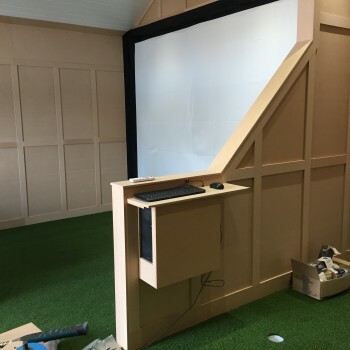 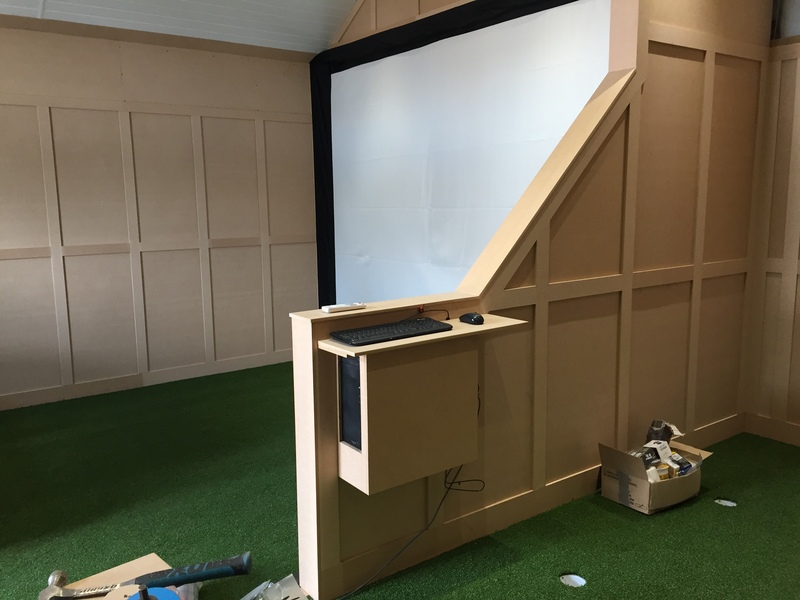 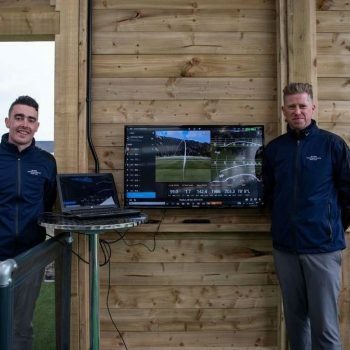 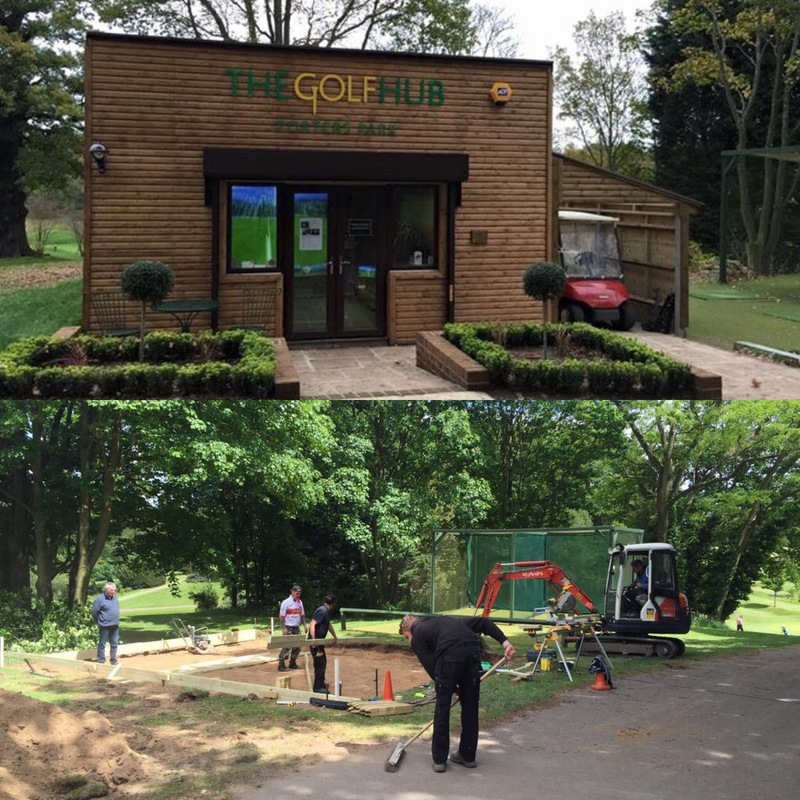 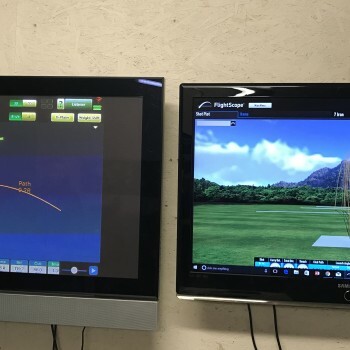 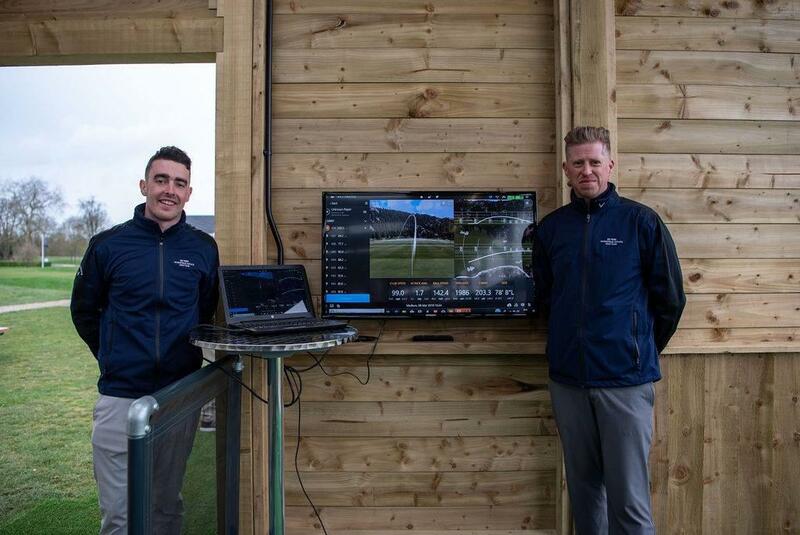 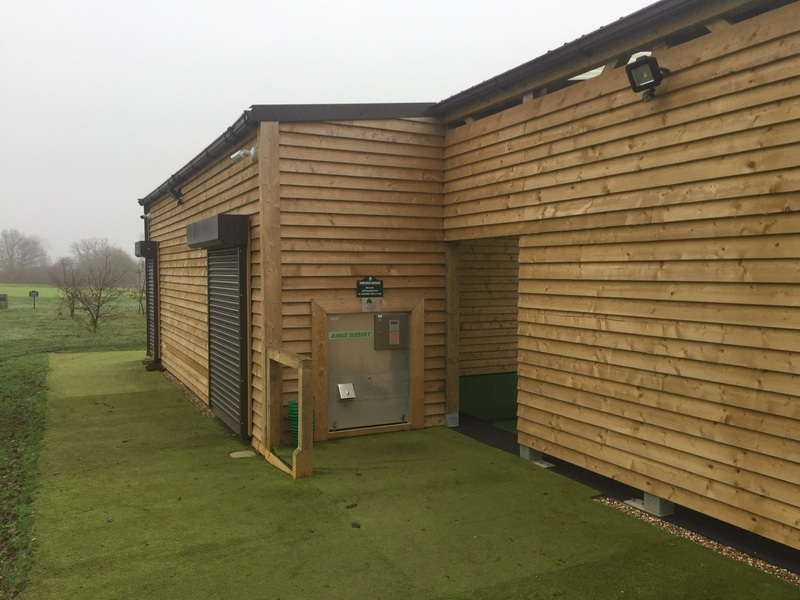 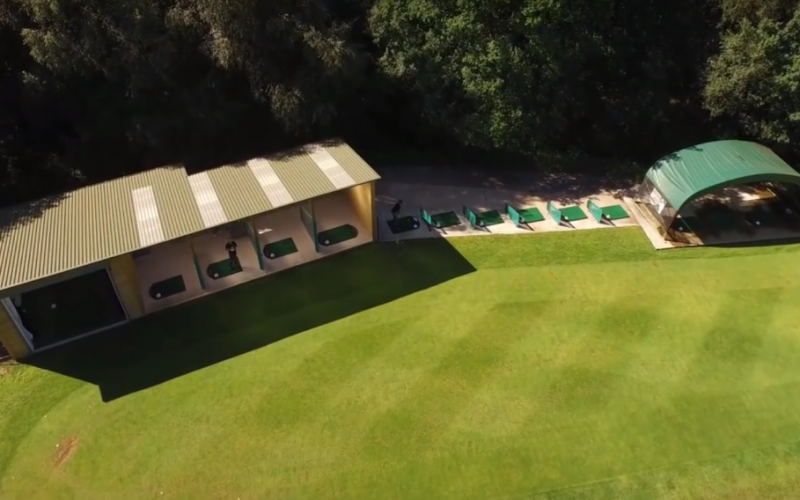 We put CCTV system , Trackman Gasp video system including outdoor plug sockets in the bays for a golfer who offers the high end client free range balls as part of their exclusive membership. 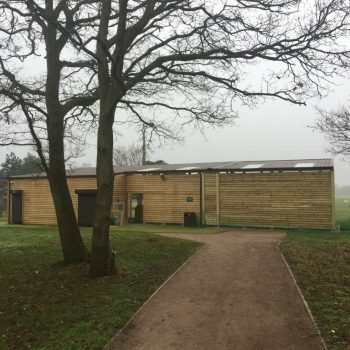 This was a Fantastic build. 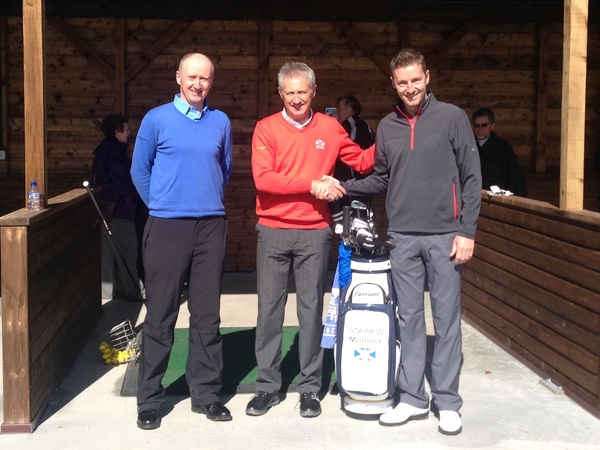 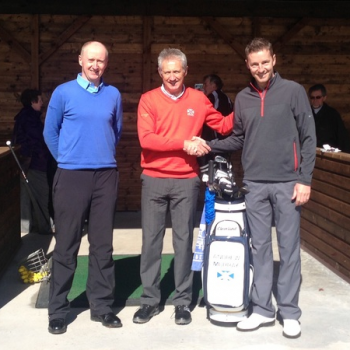 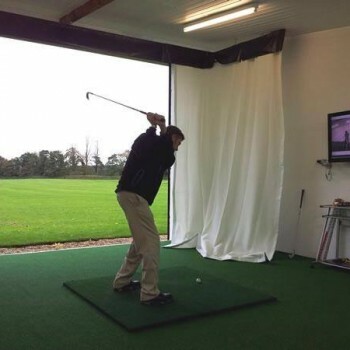 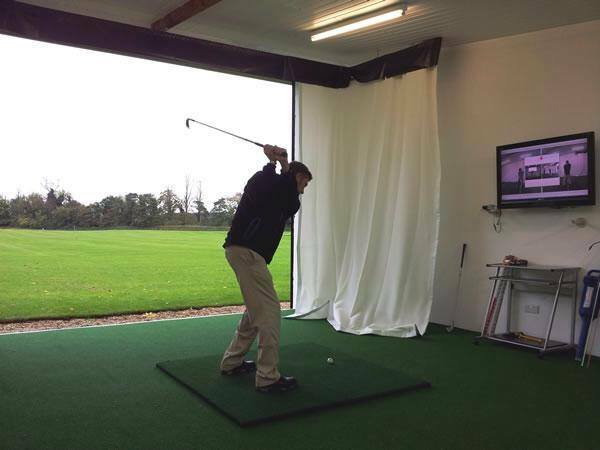 Bill Tye Head PGA Professional enquired about building 3 driving bays and a state of the art tuition studio. 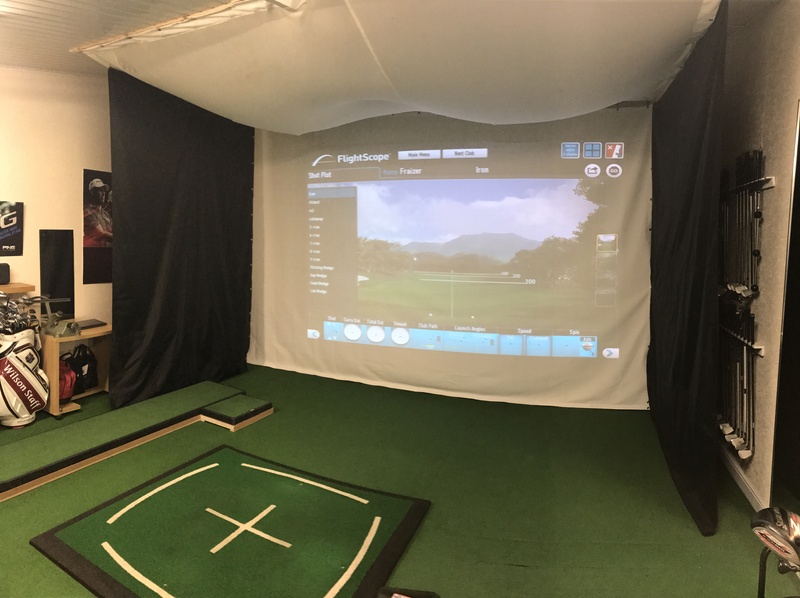 The build took 2 weeks to complete and Bill’s tuition studio is kitted out with electronic shutter, GC2 with projector and hit net and video analyis. 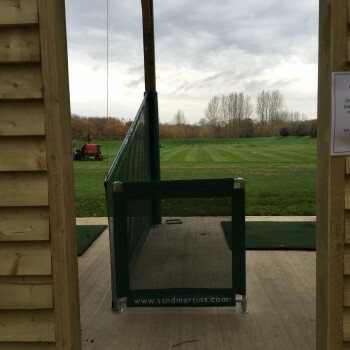 The perfect place to get fitted for your clubs or work on your swing. 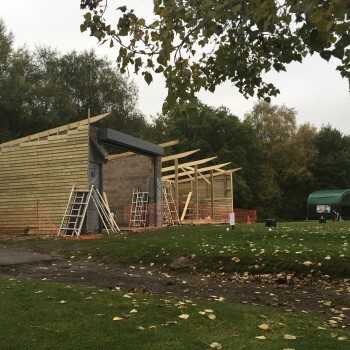 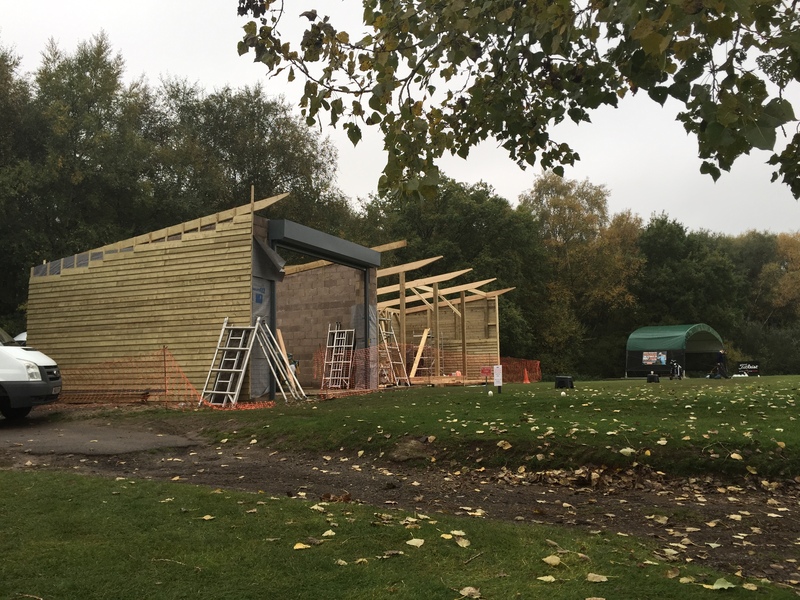 Poulton Park Tuition facilities have taken a huge step forward with this build. 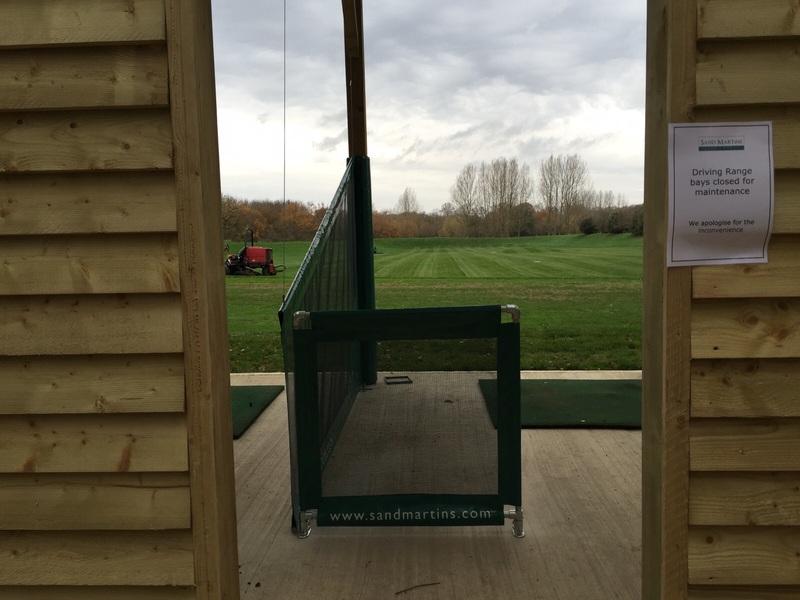 It is know for its fantastic short game area but custom fitting is an issue due to the length of the practice area. 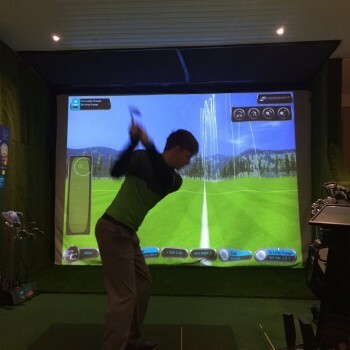 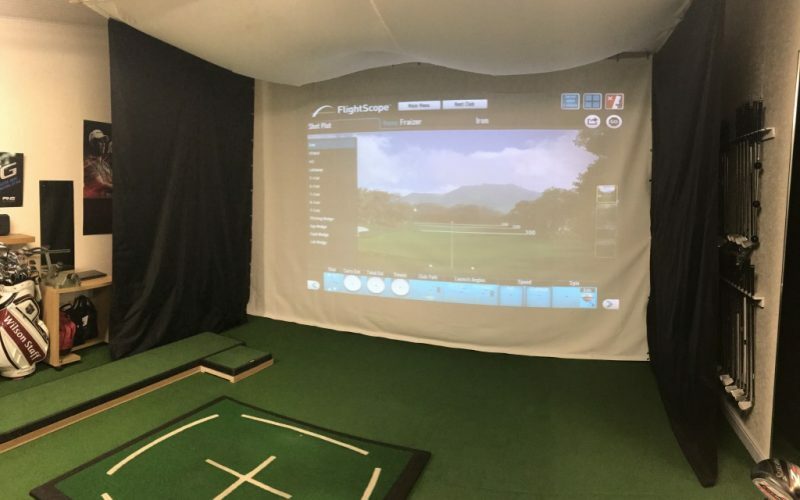 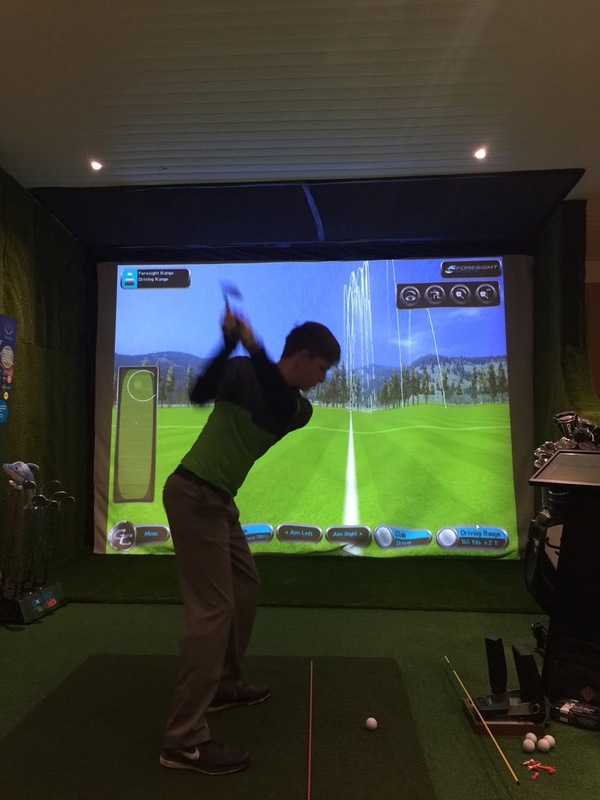 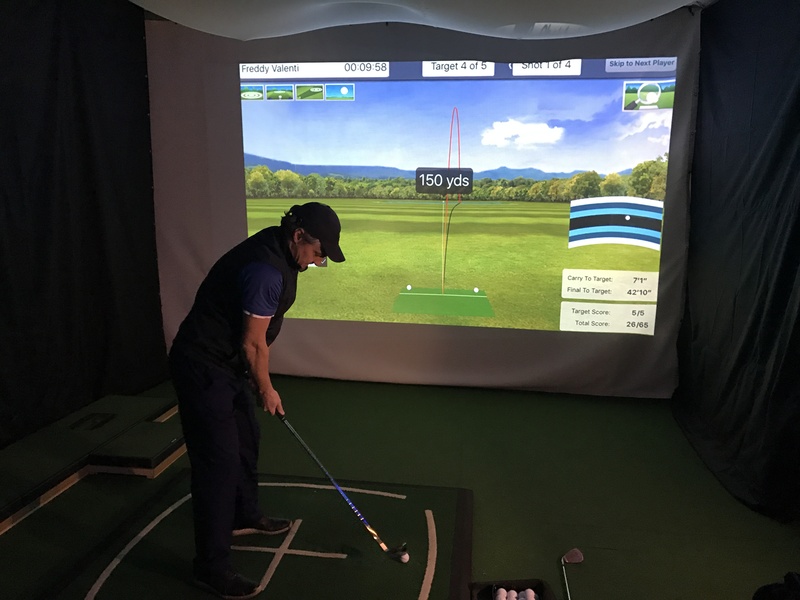 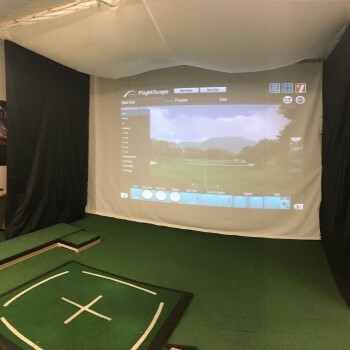 This design incorporated with an indoor projector net linked with Flightscope has seen a huge influx of driver custom fitting. 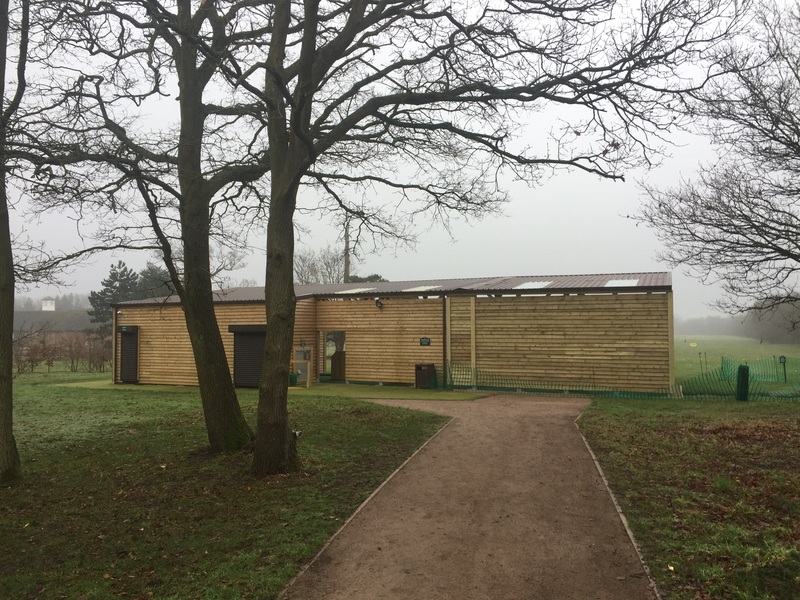 Plus its a great place to learn in the winter. 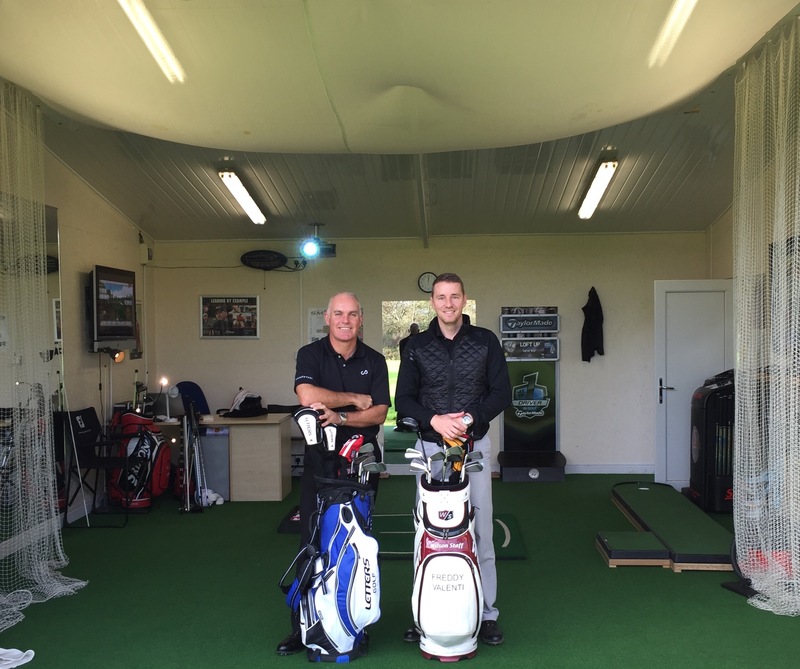 Here is a list of some our clients that we have worked with. 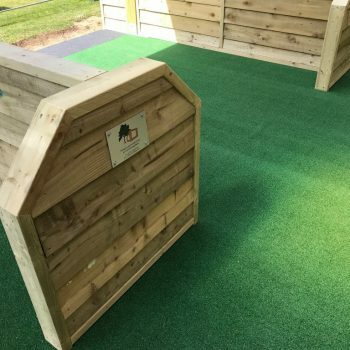 We pride ourselves on the attention to detail and the high quality service we provide. 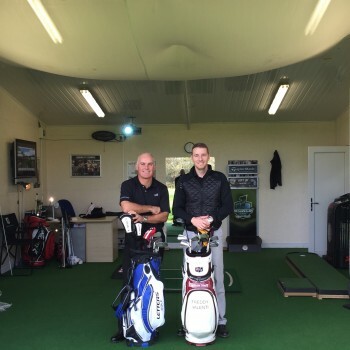 As PGA Professionals we feel we have the same mentality and can advise our clients through our own experience working for 20+ years in the golf industry. 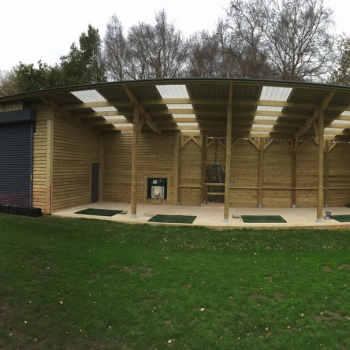 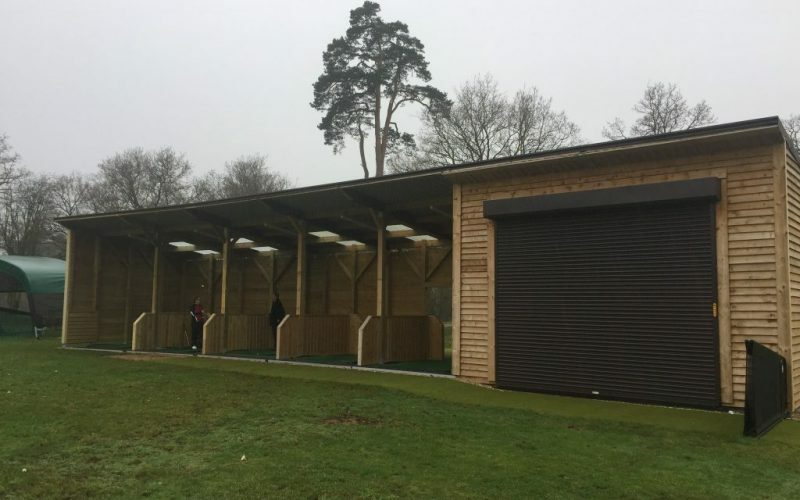 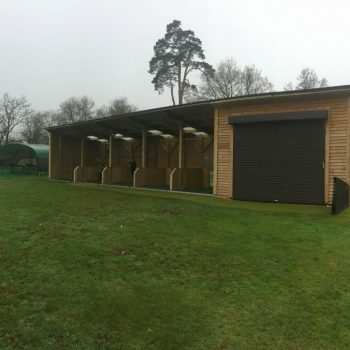 Hale Golf Club, 6m x 6m teaching bay with roller shutter.